This dark green, oval-shape fruit is extremely large in comparison to other mangoes grown for export (into the USA/Canada) in Mexico, yet it also has one of the smallest’s pits of all mangoes, yielding an incredible amount of flesh and the best fruit-to-pit ratio of Mexican mangoes. Its skin is covered in various deep hues of green with small white speckles throughout. It is not uncommon for Mexican Keitts to color slightly as they ripen, yielding a little color: small blush tones of red or yellow. Most are, however, various shades of green through out the entire ripening stage. 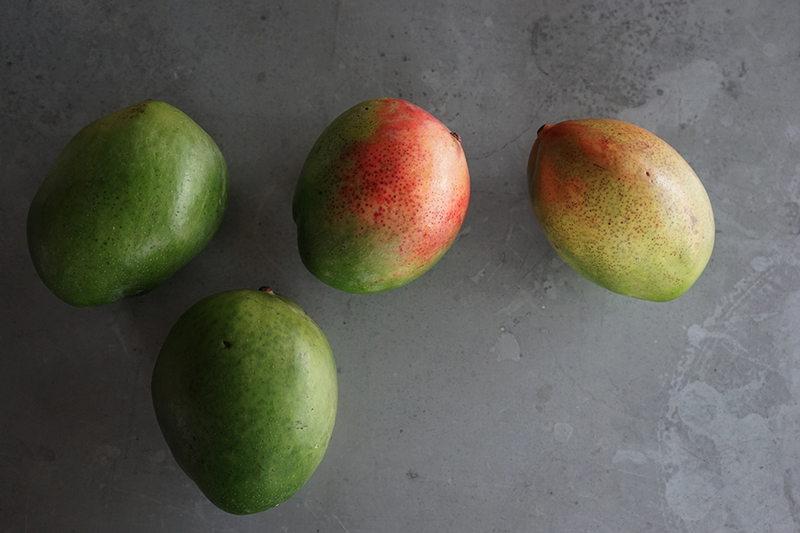 The Keitt is definitely one of the most confusing mangoes for consumers in terms of coloring and ripening. After all, this is one of the few mangoes that can be fully and juicily ripe and still be solid green in color. 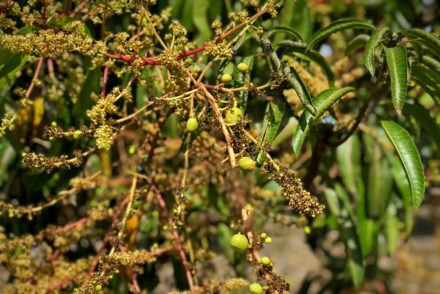 Of all the varietals grown in Mexico for export, the Keitt has the least amount of fiber and the majority of it is typically found right around the pit. It has a tart but sweet flesh, somewhat reminiscent of a sweet Meyer lemon, and when ripe it has a buttery smooth texture. This makes it my favorite mango for preparing baby food as well as baking (it is simply the best mango for pies). When green it has a naturally sweet and tart taste, unlike other mangoes, which can be very tart or even bitter if too green. The Keitt is great for green mango salad and generally all green mango recipes. The flavor is quite appealing and it’s great for simply eating and snacking at any stage of ripeness. The Keitt tends to hold onto a bit more of the vitamin C as it ripens (some other mangoes tend to lose vitamin C potency while building greater levels of vitamin A during the ripening process). 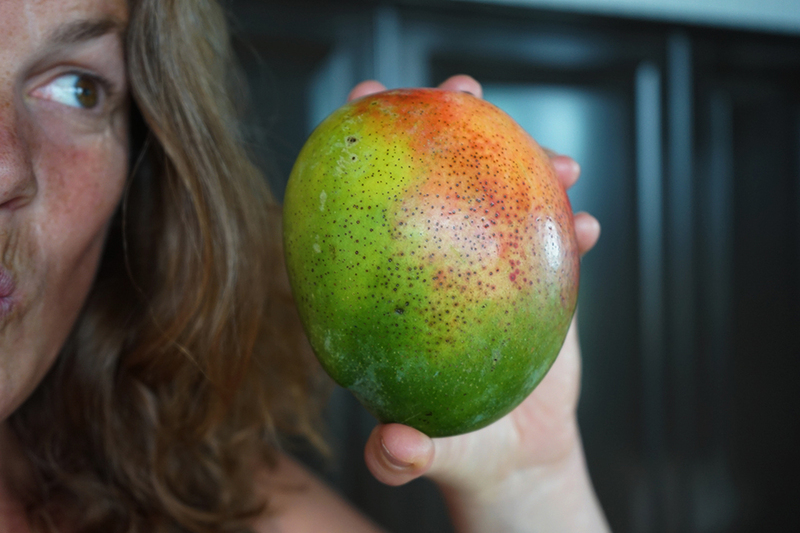 Take in mind that a mango offers nearly 100% of vitamin C recommendations regardless of the stage of ripeness, but a green mango, and Keitts in particular, tend to have the highest concentrations of this vitamin amongst the mangoes we se here in the USA/Canada. 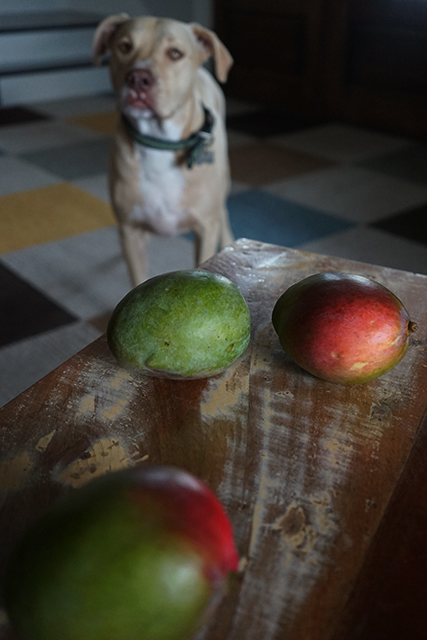 Because the Keitt is mostly a totally green mango, one of the only ways to gauge the level or stage of ripeness is with the Gentle Squeeze Test. Pressing gently against the fruit and looking for a similar give to avocados. 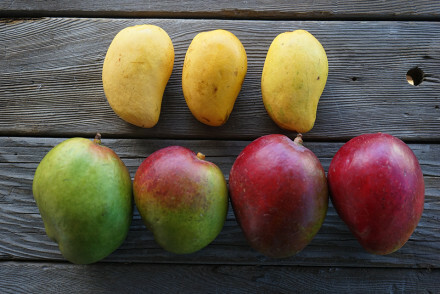 The big difference in gauging ripeness is that mangoes have a total of 4 four stages of ripeness and each is perfect for different types of cooking or preparing, as well as different palettes. 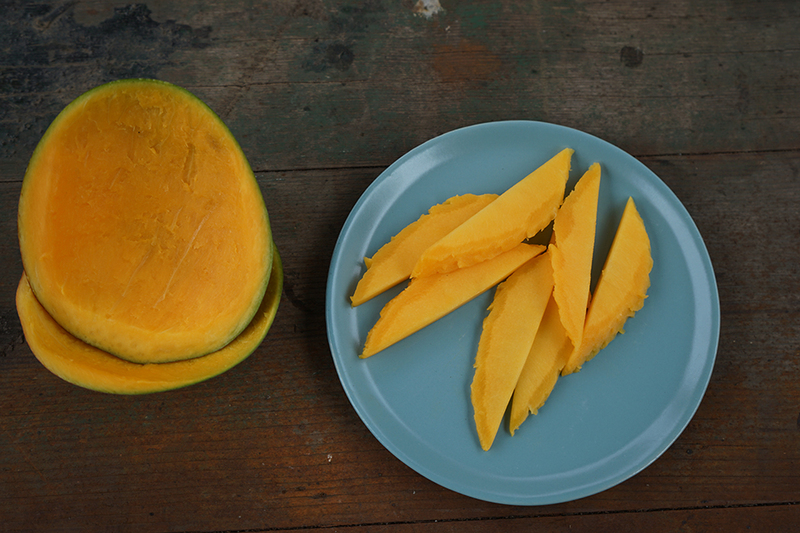 I prefer eating a semi-ripe/firm mango to a ripe or totally ripe mango as most others do. I enjoy the tartness, which is why for me the Keitt is my favorite snacking mango at the firm stage. 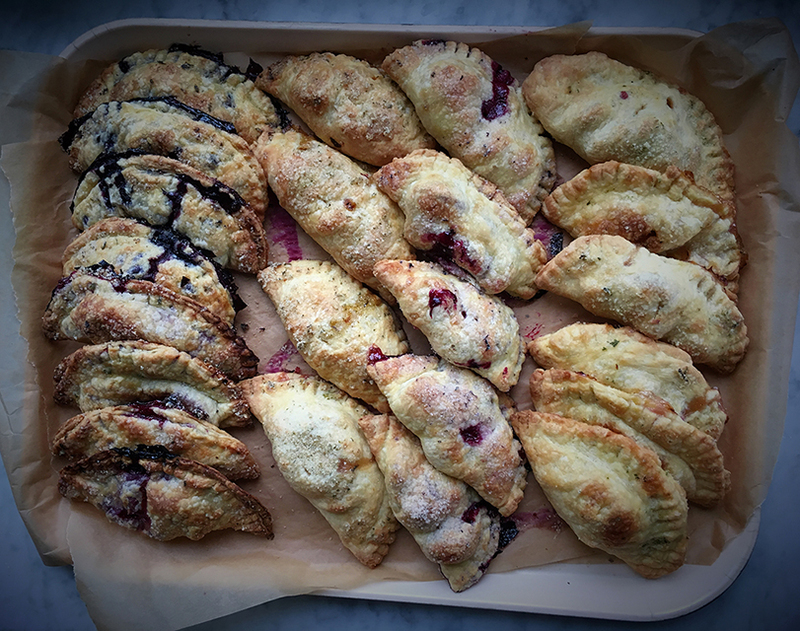 Mango and Summer Fruit Hand Pies! Mango Peach is the favorite! Here is a run down of each of the stages of ripeness and some ideas on what to do with the mangoes during each. 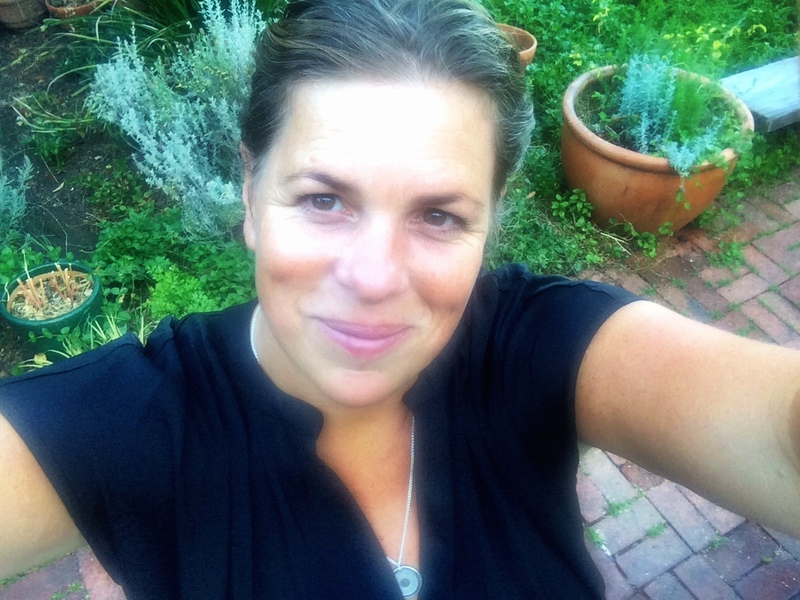 Take in mind it’s totally subjective and there is no “cookie cutter” approach, which many would like you to believe as it’s easier to write about, market and educate for. Keitt mangoes are the best “freezer” varietal: their large size and near fibreless flesh make them perfect for peeling and chopping (#ChooseYourCut) and then freezing for later use as desired. Their predominance during the Mexican late season is perfect timing, because soon we will have a few months when mangoes are not available when the Mexican and small California seasons end and before the South American fruit starts! One important thing to look out for when following mango recipes is that if it calls for one or half a mango, it typically refers to an average size mango (size 9-10cnt). 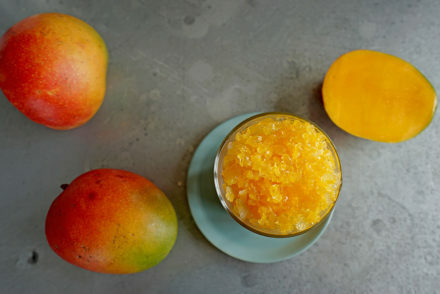 The going consensus usually is one mango = 1 cup of chopped ready-to-eat mango. But with Keitt mangoes this is a bit different due to their bigger size and small pits. Better to use the one mango = one cup formula for best results!